Download What Happened to the Women? What happens to women whose lives are transformed by human rights violations? What happens to the voices of victimized women once they have their day in court or in front of a truth commission? Women face a double marginalization under authoritarian regimes and during and after violent conflicts. Nonetheless, reparations programs are rarely designed to address the needs of women victims. What Happened to the Women? 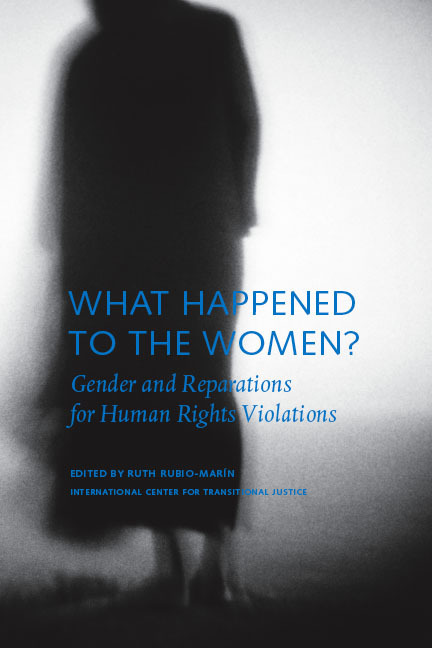 Gender and Reparations for Human Rights Violations argues for the introduction of a gender dimension into reparations programs. The volume explores gender and reparations policies in Guatemala, Peru, Rwanda, Sierra Leone, South Africa, and Timor-Leste. The first volume of the International Center for Transitional Justice’s Advancing Transitional Justice Series. What Happened to the Women? Gender and Reparations for Human Rights Violations, ed. Ruth Rubio-Marin (New York: Social Science Research Council, 2006).